Long gone are the days where Schweppes on tap was your only option to go with your gin - tonic is enjoying almost as much of a renaissance as the great juniper juice, which makes sense, where gin goes… the craft spirits & mixer world follow. Nowadays you can pitch up at most bars and they’ll have a pretty decent tonic menu for you to browse through. This is mostly thanks to the explosion of Fever-Tree, the first ‘premium’ mixer that very rightly pointed out, if ¾ of your drink is the mixer, then why are you not mixing it with the best? Launching in 2005, gin fans suddenly had a softer, artisanal option to mix with their expensive craft spirits, made with quality ingredients that are sourced responsibly. And as Fever-Tree grew to the behemoth it is today, seeing its share price rise by over 900% and its business value rise to over £1billion - of course challenger brands stepped up to the plate, and recently the boom in craft, small batch, independent mixer brands has got very exciting. Tonic of course is basically sugar, soda water and quinine. Quinine of course is an anti-malarial, the story goes that way back when, a South American Indian who was suffering from malaria, drank water from a pool that had been contaminated by the chinona tree, and discovered that his fever was gone. The invention of tonic dates back to the early 19th century, when British officials stationed in India were prescribed quinine to control the risk of malaria and, due to its bitter taste, quickly sought a way to make this experience not so unpleasant. They added soda and sugar, creating a rudimentary tonic water. Nowadays however, the quinine in tonic is dialled down, and mixers have moved beyond just gin. Brands are creating ranges of fantastic flavours that compliment the vast array of spirits on the market. 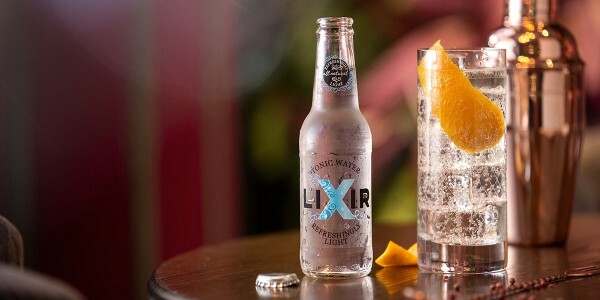 One mixer brand we can’t get enough of is Lixir - created by two ex-bartenders from Newcastle who’s innovative and edgy approach has led to a versatile range of flavours that suit almost any spirit you can imagine, and taste just as good as a non alcoholic option if you’re not drinking. Other brands, like Sekforde from East London, have lost the quinine completely. Natural botanical mixers that are designed to complement specific spirits. For example, their Rum Mixer blends lime, mint, rose and cacao for a mixer that suits light, gold or dark rums. Or their Gin Mixer which replaces quinine with sage and a hint of raspberry. As the great Baz Luhrman once said, "the race is long, and in the end, it's only with yourself" - and there may be no other place that this suits more than the tonic market. Try as many as you can, experiment with flavours, throw out the rule book and find what works for you and your spirit.